This is the 12th article in a series looking at the potential cannabis market in states that are rolling out new marijuana programs. The first eight articles examined states that approved recreational or medical marijuana initiatives in the 2016 election. This new round of installments focuses on states that have approved new markets through legislation. Click here for previous articles. Maryland’s medical marijuana program rollout has been rife with stumbles, delaying what could become one of the largest markets on the East Coast. Still, industry officials and regulators are working to get the state’s MMJ program on steadier footing and launched. Regulators, in fact, hope dispensary sales will begin later this year. But industry observers are less bullish, predicting the first dispensaries will open in 2018. That would be four years after state lawmakers approved legislation in 2014 laying the groundwork for the state’s new medical marijuana program. Maryland officials initially had aimed to have the state’s medical cannabis program operating by the second half of last year but were slowed by a flood of program applicants and disputes over the racial diversity of license winners. Despite the halting rollout, the 102 dispensary license winners should see sizable opportunities. According to Marijuana Business Daily estimates, annual dispensary sales should amount to $125 million to $175 million three to five years after outlets open, with an eventual patient pool of 60,000-90,000. How the market unfolds will hinge on solving the stumbling blocks that have emerged. Most notably, the Legislative Black Caucus of the Maryland General Assembly has expressed concerns that the state’s diversity – Maryland’s population is about one-third African-American – was not reflected in the licenses awarded last year by the state’s medical cannabis commission. A court case related to the diversity issue also is pending. Other hurdles abound. A lack of available real estate and impatient investors could hamper potential business opportunities, as could a possible shortage of testing labs. 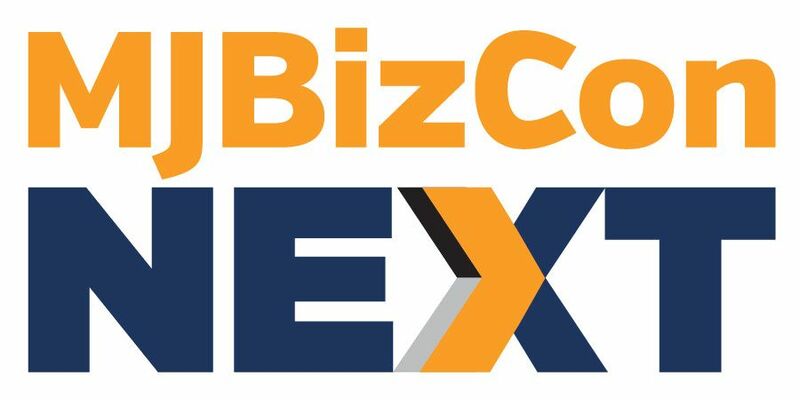 On the flip side, entrepreneurs will have the chance to participate in the usual ancillary businesses ranging from security and transport to energy-related technology and legal services. Maryland technically legalized medical marijuana years ago, but the law was considered unworkable from a business perspective. In 2014, Maryland lawmakers revamped the law by establishing a framework of rules similar to those found in other medical marijuana states. The new program dissolved the state’s previous MMJ plan. “I think the business opportunities in Maryland are just starting to move forward,” said Ivan Lanier, CEO of Greenwill Consulting Group in Annapolis, Maryland. His firm has started receiving more calls from investors looking to invest in growers and processors. He’s also receiving calls from interested banks and financial institutions as well as human resources firms. There has been a search for a competent HR firm that has industry experience, Lanier added. New cost-saving energy technology should have a stake in the marketplace, according to Lanier. Security and transportation should also be ripe for business. And, Lanier said, many license holders will be looking for people who are familiar with transporting funds in armored cars. 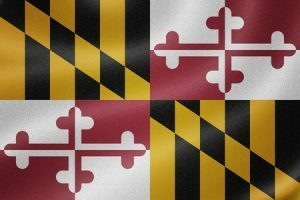 In 2016, the Maryland Medical Cannabis Commission gave preliminary approval to 15 medical cannabis cultivators, 15 processors and 102 dispensary operators. The preapproved companies are currently working through the second stage of the approval process, which includes undergoing criminal background checks, completing regulatory requirements, securing local zoning approvals, constructing facilities and completing regulatory compliance inspections. The preapproved firms have 365 days to complete this process: For cultivators and processors, that would be August; for dispensaries, December. The MMCC will vote on final licenses in public meetings once the companies have complied with the requirements. The commission expects medical cannabis to be available to patients from a licensed dispensary sometime this summer. No dispensary can receive a license until it has product from a licensed cultivator or processor. Maryland has yet to license a testing lab, though one has been preapproved. There could be a bottleneck if all the cultivators are trying to get their product tested at the same time and there’s only one testing facility. Both he and Lanier expect dispensaries to be open by early 2018. Medical cannabis also can be used for glaucoma and post-traumatic stress disorder. There is no reciprocity for out-of-state cardholders. As noted, the state is navigating an unstable regulatory environment. One piece of diversity-related legislation could slow the program’s rollout. “There are certainly some kinks we have to work out,” Lanier said. “Many people look at the optics of having a dispensary in their neighborhood,” he added. McGowan noted that available real estate is reportedly hard to find. “It’s been a mad scramble since the end of last year,” he added. He’s also heard from applicants who were denied licenses but were interested in investing in a license winner. But they’ve since changed their plans given that the preliminary winners have had trouble securing land. McGowan also said existing cannabis investors have grown impatient with the slow rollout and are looking elsewhere, including neighboring Pennsylvania. That has made it difficult for businesses to lock in funding. Sounds like a complete mess! Doesn’t sound like Maryland will end up one of the innovators on the East Coast to me, they can’t even roll out their program. Diversity issues? Are you kidding? You let one minority lead the way and you end up with all minority groups making a stance that no one in their group was awarded a license. Like me saying, I have a problem with this not enough women were awarded licenses and women have a right to have licenses too! How is that any different? What happened to the best person qualified, not the person with the most money either. I feel like people who do not have a clue about this industry and/or those with a negative view are getting in the industry because they have money and this is the only reason…..Nothings fair, get over it. Thank you for noting that we at Steep Hill Maryland have received preapproved to operate as a cannabis Independent Testing Laboratory in Maryland. Because we can leverage the global cannabis testing experience of Steep Hill with over 250,000 tests to date, we will be ready to perform the full panel of compliance tests for all of Maryland’s industry well ahead of their actual need. We are working closely with the Maryland Medical Cannabis Commission and industry stakeholders to meet this readiness goal. We welcome the opportunity to showcase our ability to help Maryland’s cannabis industry be the most compliant, professional, and well regarded example in the country. Thanks for keeping Maryland in the spotlight! Yeah. You are not getting one of the five lab licenses. I saw the list. Literally everyone involved in this commission have no idea what they are doing. And Med Chi will thwart any progress with docs getting on board.